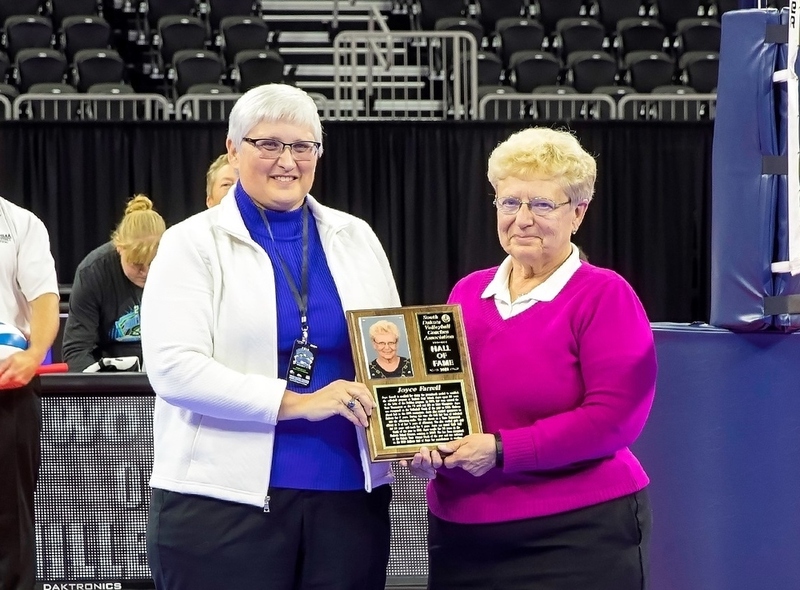 Congratulations Joyce Farrell on being inducted into the SD Volleyball Coaches Association Hall of Fame! We are proud of you! Joyce Farrell taught and coached at Madison High School for 36 years. And served as the head volleyball coach for 20 season. She guided two teams to the State Tournament, winning the Championship in 1995, after entering the tournament as the #8 seed. She was named the South Dakota High School Coaches Association Coach of the Year that season as well. Farrell and the Bulldogs also took 3rd in the 1999 tournament. She amassed 331 wins in 20 season, and is still in the top 30 on the South Dakota all-time wins list.